Eeek! So much happened in this episode. And we have so many questions. Let’s just get this out of the way real quick…why in the world did Pinocchio turn into a little boy, instead of the August that we know?? That made me sad. But I was so happy that he redeemed himself, and turned back to save Storybrook. And Mary Margaret slapping Gepetto? Sad too. She looked so remorseful. So here’s where we are, and what we know…and what we think. Or what I think. The “stranger” is not a stranger to the town, as he was first there as a young boy (Owen). I still don’t understand why him and his father could see Storybrooke, and when Owen left and came back with the officers, they couldn’t see any town. The second “stranger” or “outsider” to enter the town is apparently very familiar with our first stranger. This is not a coincidence. He was receiving calls from “Her” when he first got there, and we know he sent her the video of the fire ball that he saw when he crashed his car. We are missing a whole lot of back story…if she was already with Neal, and knew who he was, what association does she have with our stranger? She didn’t need him in order to find magic. Tamara (the fiancé) mentions in the flashback that she has been searching for magic in “this land” for a very long time. So, has she been to another land? Now here’s some fun insight…Rumple is the Crocodile whom Hook hates. We know this. Hook (from the story, we don’t this on the show) also hates…Peter Pan. It would make sense for Hook to hate Rumple’s son because of association…but it makes even more sense if his son is Peter Pan! And the end of the episode, when she meets up with Stranger #1 (Owen/Greg)…I’m thinking a Lost Boy and Tiger Lily?? She obviously knew who Neal was when she bumped into him in New York, so maybe she knew of him in Neverland? Now here’s what I’m wondering…Everyone seems to have a role. Who are Emma, and Henry? Emma could be a sort of Wendy character, if Neal is in fact Peter Pan. Except that she apparently has powers. And I know Henry wasn’t born in the Enchanted Forrest, but both of his parents originated from there, so he has to be someone, right? Now, just to throw your brain into over-drive mode…because that’s where mine is…maybe Neal isn’t Peter Pan…Maybe Henry is! He hasn’t been to Never Land yet, but that doesn’t mean he won’t. After all, wasn’t Rumple told that “the boy” (who will lead him back to his son), will be his undoing? In the Peter Pan story, who else has issues with the Crocodile, besides Hook? Peter Pan! This scenario would mean Greg (actually the lost boy Owen) could still be a lost boy, and maybe Neal is one also…and fiancé Tamara can still be Tiger Lily…and Emma could be a Wendy figure and Tinker Bell? So, which scenario seems more likely? And, where do you think Robin Hood fits into all this? This is the written story of the t.v. series...and I can't wait to read it! This post is linked up to HopefulLeigh's What I'm Into. I was so sad August turned back into a little boy! Also, it confused me. 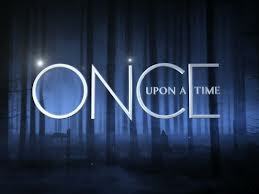 I think Owen and his Dad were camping in the town's forest when Storybrooke appeared. There was that crazy storm and then the next day we see Regina waking up and saying, "it worked." It confused me too (about August). Especially when he didn't seem surprised at Emma's question about the warning he called to tell her about. And Owen as a boy...I don't know...They saw the town of Storybrooke from the woods, I would have thought they would have been "led" away from the town. Or not see it at all. We'll find out soon, I'm sure. And I don't know if Tamara knew Neal beforehand. Remember she watched him talking to August about the Enchanted Forest, so she knew from that that he was from there. But I think she was just following August around, not that she knew Neal already. All the theories are fun! Can't wait to find out what happens.